We love this look inspired by the Chanel Spring 2014 runway. 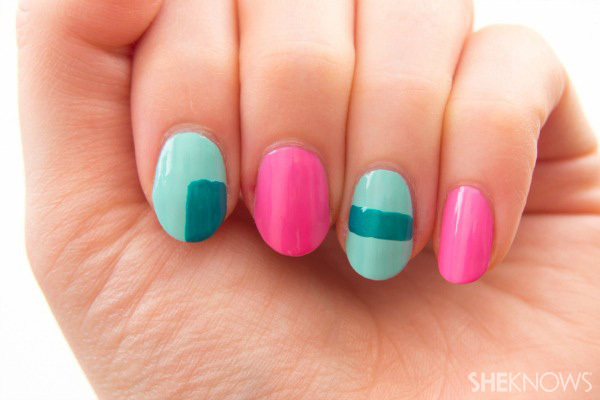 Using two turquoise and two pink hues from one look, we created a fun colorblocked design. 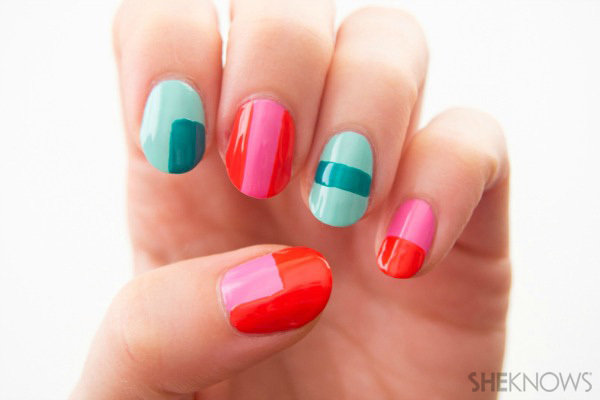 Begin with a base coat of pink on three fingers and mint on two. Using the teal on the mint polish and dark pink on the light pink polish, paint various geometric shapes, one on each nail. Let dry and finish with a top coat.